1. 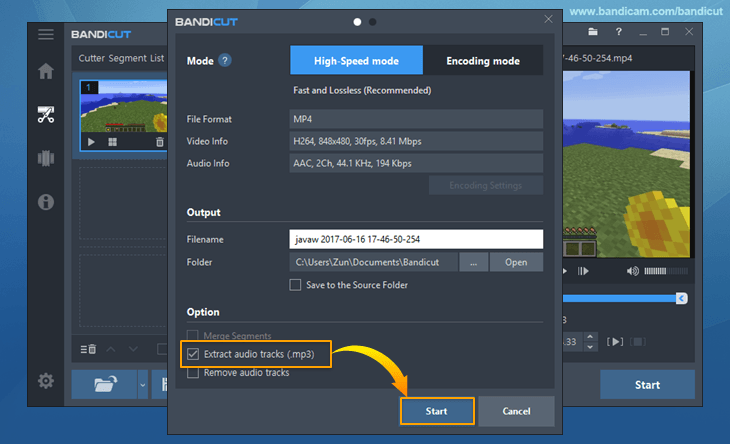 Bandicut is now able to extract audio tracks (.mp3) from a video. - Added an option, "Extract audio tracks (.mp3)". - Some MP4 files didn't have sound in High-speed mode.